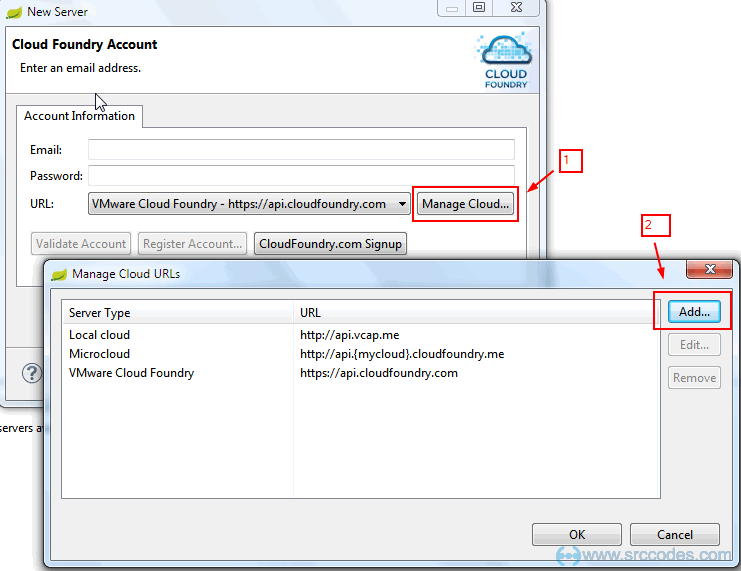 AppFog Cloud Platform is built by using the Cloud Foundry OSS bits alongside its own set of custom extensions and enhancements. 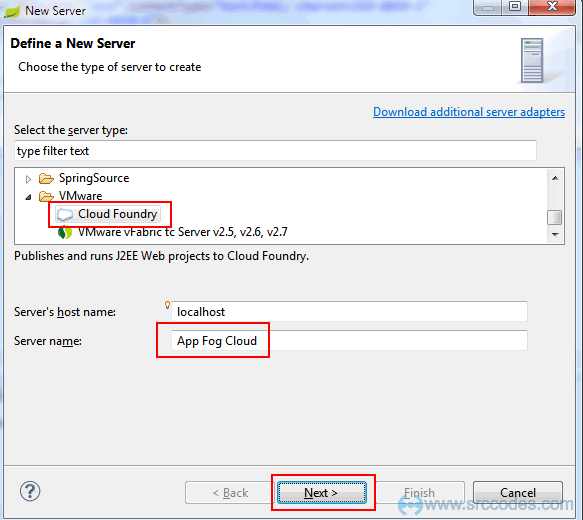 AppFog provides good command line tool to deploy application but we can configure Cloud Foundry Integration plugin of Eclipse / Spring Tool Suite (STS) to deploy web application directly from IDE to the AppFog. 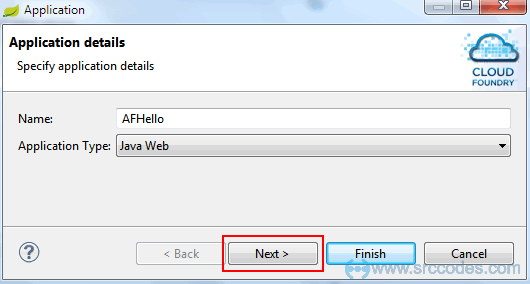 Create a dynamic web project (say 'AFHello') with a jsp page (say 'afHello.jsp'). We'll deploy this web application to AppFog Cloud Platform. 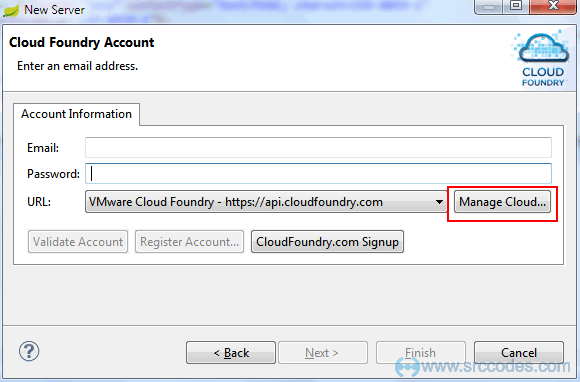 Click 'Manage Cloud' --> 'Add'. 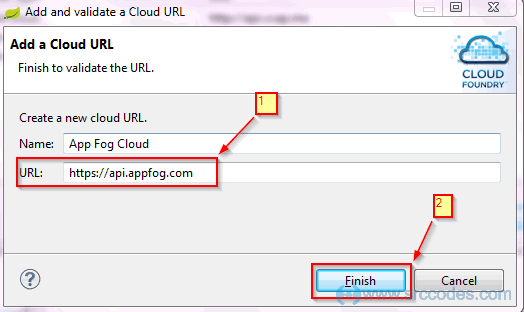 Enter the AppFog cloud url 'https://api.appfog.com' and click the 'Finish' button. 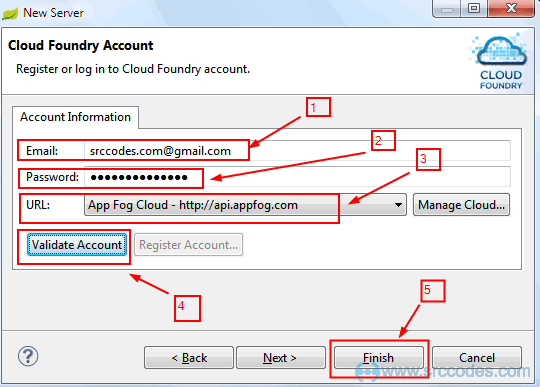 Enter AppFog account's email, password and select App Fog Cloud as url. Click the 'Validate Account' button to check whether all the configurations are correct ot not. Click 'Finish' button. 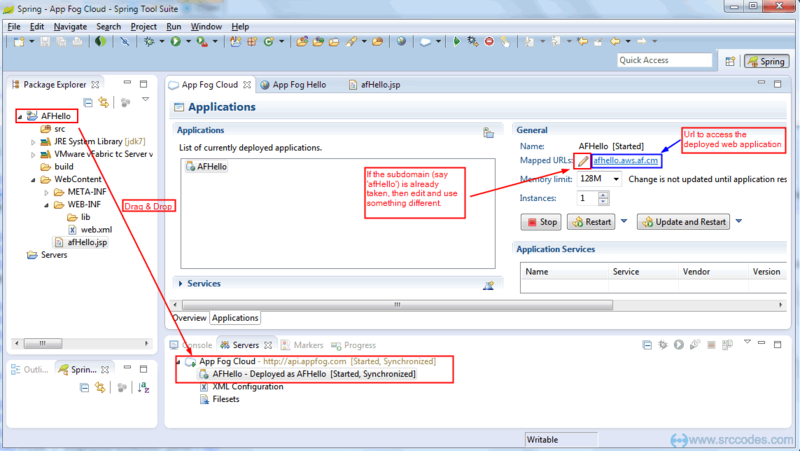 Drag your application and drop it to the 'App Fog Cloud' server. Provide 'Application Details' and click 'Next' button. 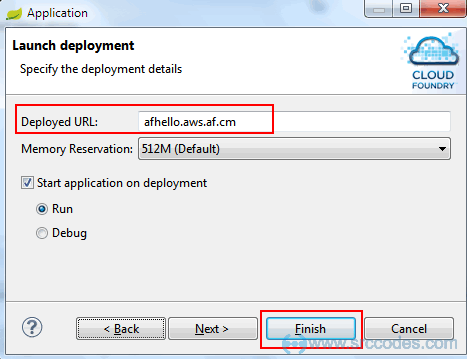 In 'Launch Deployment' window provide deployed url (for example 'afhello.aws.af.cm'). Open the mapped url ('afhello.aws.af.cm') in the browser.